RUSH: Jerry in Manhattan, Kansas. It’s great to have you with us, sir. You are next. Hello. CALLER: Yes. 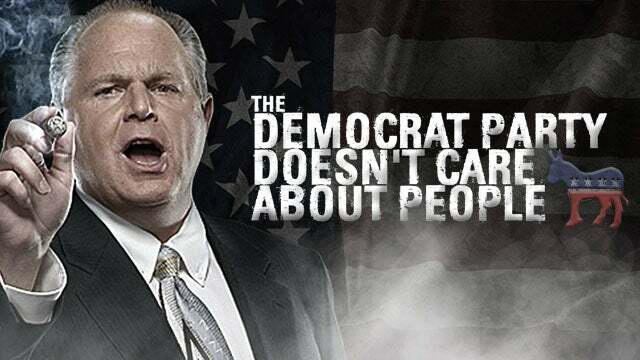 It’s my opinion, Rush, that the Democrats and the media through their false narratives, has already accomplished a big part of their goal by virtue of the fact that they’ve won the House of Representatives back, and allowed all these radicals to gain the limelight and continue these falsehoods. Do you think that if the truth prevails in a couple years, those could be accomplished back with Republicans? RUSH: Oh, yeah. I do. I am optimistic. I’m always optimistic that the truth will out. I couldn’t do this if I weren’t optimistic that it was all gonna work out. I couldn’t do it. And I’m especially optimistic with Trump in office. I don’t know how much optimism I would lose if it weren’t Trump. If there were another Republican in office, I don’t think we would have… Well, I don’t want to say that. Our chances would be a lot slimmer. I think Trump has get reelected, and the work has to continue. But I’ll tell you, yesterday I had a column by Bob Kerrey calling out these radicals on the left and just how asinine they are, and how with all of this blame on “white men, white privilege, white nationalism,” that they’re really marginalizing the Democrat Party. Bob Kerrey, a former Democrat presidential candidate, senator from Nebraska, was sounding a warning and really calling these people out. Then there was a story from the AP yesterday saying that the Democrats need white male voters. There are a bunch of ’em out there, Jerry, on the Democrat side, that know that the Cortez, Ilhan Omar, Rashida Tlaib, they are not the way to secure a voting majority. But here’s what the Democrats are up against. One of the reasons that Clinton and Obama succeeded… Now, do not doubt me on this. Stick with me on this. One of the reasons that Clinton and Obama succeeded… Maybe one of the main reasons. Well, not main, because there’s a couple others that are pretty big too. But one of the big reasons that Clinton-Obama succeeded is that they were able to pretend to be moderates. Remember Clinton talking about triangulation and Obama talking about, “Our values make America be what we gotta be”? Neither of these two would ever, would ever honestly portray how stridently leftist they were until you saw them appoint judges. When you saw the judges they appointed and you knew that they were leftist radicals to the core, but they couldn’t get away with being honest about that. What’s different today is that Twitter will not let Democrats play that game. This is a key point. The Clintons acted like and were said to be moderates, triangulators, pragmatists. But if you look at Obama or Clinton’s court appointments, Supreme Court, other words, leftists to the core. Obama played the same game. I mean his mentors were Frank Marshall Davis, Bill Ayers, Jeremiah Wright. But he sold himself as a purple state moderate Democrat, governed as a hyper-regulating statist who appointed Supreme Court justices with radical leftist philosophies. But publicly they both got away with making themselves look like centrists and moderates. And nobody was gonna call ’em out on it, except us. The media wouldn’t call ’em out on it. And so their supporters were thought to be, the people electing Obama and the Clintons were thought to also be centrists and moderates and soccer moms and white people who wanted to prove that America wasn’t racist, so they vote for the first African-American candidate to show that they’re not racist, and then Twitter blew up. Twitter became the home of angry, unstable, deranged, delusional, anonymous leftists who have no interest in pretending to be moderate about anything. They hide behind fake names. They create robots or bots to amplify their numbers. Twitter users form mobs that actively work to destroy reputations, policies, business interests of Republicans and conservatives. Twitter is one of the origin places, aside from the Drive-Bys, of fake news. You know, Obama would meet privately with a guy name Robert Creamer. Robert Creamer’s a guy that would go out and hire people to disrupt Trump rallies. Now, Obama meets with the guy 56 times in the Oval Office. He had to hide doing that. Couldn’t have anybody know that Obama was meeting with and coordinating this guy hiring people to pretend to be Trump supporters and go up in there and beat up people at Trump rallies to make Trump supporters look like a bunch of deranged wackos. Obama’s arranging all this, but behind the scenes, nobody can know he’s doing this. Well, here comes Twitter, and Twitter starts making heroes of the Robert Creamers of the world and publicizing who they are. State legislator Obama would vote “present.” He couldn’t get away with that today. The left on Twitter is demanding that these Democrats be the radical leftists that they are, and so they are shucking aside all the camouflage. They’re not even trying to be moderates anymore because they never have been. They’ve been acting and getting away with it. The media has been promoting their cover. But mow the mobs on Twitter are forcing elected Democrats to be honest about who they are. Twitter is the home of totalitarian, police state Marxists, and they don’t care about nuance. Twitter mobs want nothing to do with the Clintons and Obama. Nothing to do with ’em. 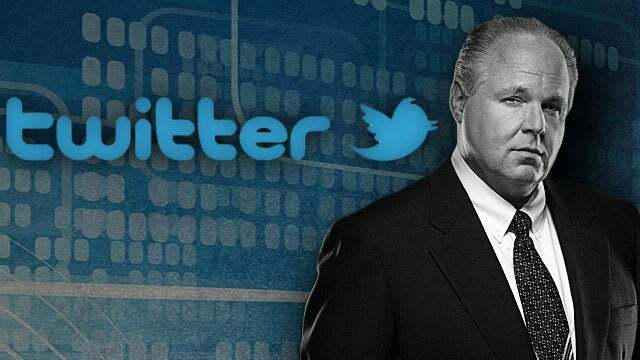 Twitter mobs influence journalists, the media. The media has never been in worse shape because the left-wing base is demanding that left-wing Democrats be honest about who they are. Twitter has helped, in one way, push the insanity of the left, of the Democrat Party out from behind closed doors for everybody to now see. Omaha World-Herald: Bob Kerrey: How Did Department of Justice Get the Trump-Russia Investigation so Wrong?